INDIANAPOLIS, INDIANA, September 7, 2012 — Sunfire®, a specialist in the design, manufacture and marketing of luxury home theater audio products, today showcased its groundbreaking, award-winning Atmos™ subwoofer, the smallest most powerful subwoofer in its class, at CEDIA EXPO 2012 in Booth #902 of the Indiana Convention Center. 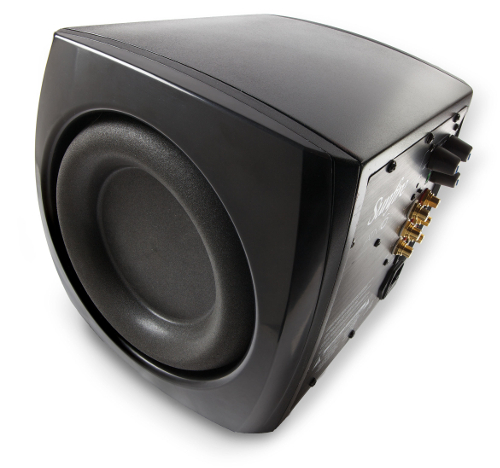 Continuing Sunfire’s legacy of unique designs, the tiny Atmos delivers performance superior to many 10” to 12” woofers. The Atmos design incorporates dual custom designed 6.5” woofers in a sealed extruded aluminum enclosure that measures just over 8” tall. Utilizing a new proprietary asymmetrical cardioid surround, these drivers are capable of excursions of up to 1.8” that deliver extraordinarily refined yet dynamic bass. 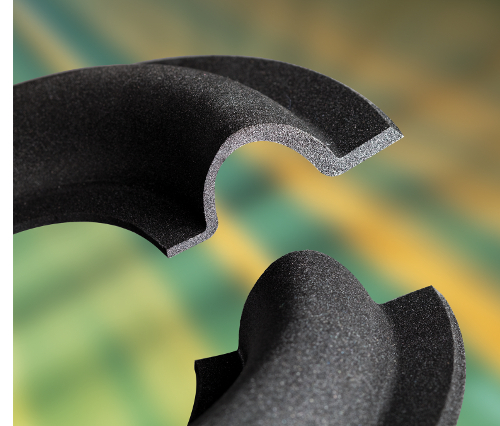 Resembling the variable thickness of the human heart, the cardioid surround provides superior linearity even at the furthest extension of the drivers. This improves fidelity and reliability and delivers bass beyond expectations. To achieve this new Sunfire standard for small-box, high-output performance, the extruded aluminum enclosure was engineered to withstand the increased backpressures that reach up to 24.4 PSI, or nearly two atmospheres of pressure, hence the name Atmos. Backpressure is required to maintain linearity over a long throw distance, allowing the small drivers to move substantial amounts of air. To maximize bass output over a wider frequency range, Atmos utilizes a seventh generation cool-running 1400W amplifier featuring Sunfire’s exclusive Tracking Downconverter™ technology, which provides the voltage and current necessary to create the driving force required to meet this new standard. Finite Element Analysis (FEA), a contemporary science, was used to design all elements of the Atmos, including the aluminum cabinet, the drivers and the next generation of the Tracking Downconverter amplifier. This patient attention to detail results in unparalleled fidelity and incredibly high output from an impossibly small cabinet. “Consumers around the world continue to show a preference for smaller and smaller subwoofers that meet their performance expectations of much larger subwoofers. They want to hear and experience all the benefits of great bass without the annoying space requirements required for larger subs. After countless hours of research and design, our engineers have achieved a new benchmark for small, powerful and accurate subwoofers. Atmos is the ideal solution for today’s consumers who demand high performance and reliability out of a small form factor,” said Sunfire. Sunfire knows that every room is different, which is why the Atmos includes a microphone and auto-room equalizer circuit that automatically adjusts the subwoofer’s response to best suit the room acoustics for maximum bass quality and performance. And for those thrill-seekers requiring even more bass, two Atmos subwoofers can be connected with a single wire using the master/slave set up. This allows both of the subwoofers to be equalized using one EQ point. The continuing “Science of Sunfire” is the direct result of a design philosophy originally pioneered by Bob Carver that has become codified by the brand. This unique approach to design has resulted in amazingly compact high performance subwoofers that combine the best electronics engineers with specialized, premium materials to exemplify the mantra of “small form, high fidelity with high output and reliability”.